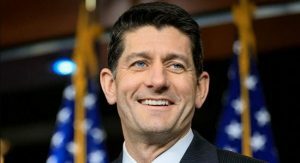 ARLINGTON, Va. – Paul Ryan, former speaker of the House, will speak during the Tuesday, April 30, Business Program at the 2019 NACDS Annual Meeting, which will be held April 27-30, in Palm Beach, Fla. Ryan was elected as the 54th speaker in 2015 and served until January 2019. Ryan was first elected to the House in 1998 and spent two decades representing Wisconsin’s First Congressional District. “We are thrilled to welcome former House speaker Paul Ryan to the 2019 NACDS Annual Meeting. Speaker Ryan will bring his first-hand perspective on the healthcare issues that remain top-of-mind, and on the fight against the opioid epidemic. The former Speaker will share insights from his experience in Congress that will relate directly to NACDS members’ work to serve our society and to the business, policy and political environments in which we all operate,” said NACDS president and CEO Steven C. Anderson.